Offensive Shotgun | Armed Missouri, Inc. Course Dates: None Available. This course is generally hosted once each year. A group photo from a previous shotgun course. Steve Collins is a firearms and tactics instructor with over 15 years of teaching military, security and civilian personnel. He spent 17 years on active duty with the US Army and served during Operation Desert Shield/Desert Storm and Operation Iraqi Freedom. He has been head of Personal Security Details for field grade and General Officers during his time overseas. He was also a shooter/instructor with the US Army Marksmanship Unit, competing in action pistol matches and training deploying military personnel in the combat use of the rifle and pistol. While assigned to the Basic Officers Leaders Course at Fort Benning, GA, he was the primary instructor for Advanced Rifle Marksmanship, and was responsible for training over 400 newly commissioned lieutenants during his time there.He holds instructor certifications from the US Army, Suarez International and the National Rifle Association, and has conducted training classes across the country. 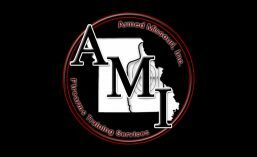 He is currently the owner and lead instructor for Martial Arms Tactical LLC, conducting Concealed Carry classes for the state of Missouri, along with private training and beginner defensive firearms classes.